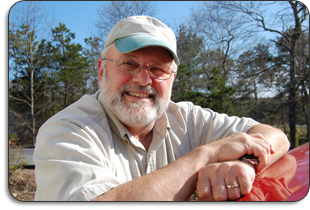 Steve Boyd, co-founder of Hydros, Inc., started his career as a biological oceanographer in 1973 at the Woods Hole Oceanographic Institution in Woods Hole, Massachusetts. In 1990, his interest in microbial diagnostics and remediation led him to co-found Hydros, Inc. Environmental Diagnostics, a company that focuses on identifying, enhancing, and controlling microbial species in agriculture, aquaculture, landfills, and hydroponics. Steve's goal is to continue to acquire a base of knowledge and proven technology in support of Hydros, Inc.'s customer needs. Hydros, Inc.'s customer histories of successful product achievement aptly demonstrate the success of Steve's philosophy. Steve's son and daughter are grown. He lives with his wife in Falmouth, Massachusetts, where he continues to coach women's competitive soccer. Steve Boyd, co-founder of Hydros, Inc.